Meydad Tasa is not a child anymore. He has grown into a musical superstar. 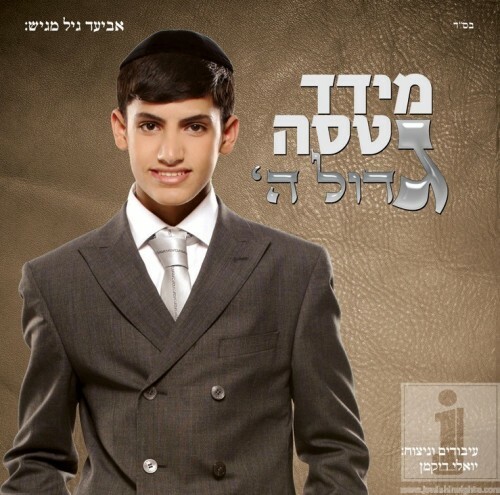 Meydad, now a young bouchur he is ready to be re-introduced to the Jewish music world anew. Tasa, is considered the prince of Eastern music, which all peak conquest possible.Now he is launching a new album entirely of chassidic music entitled- “Gadol Hashem“, where he shows a very natural pronunciation capabilities that were not embarrassing the great chasidic singer. The album boasts ten songs that range from wedding hits, to slow haartzige, and even a song about chassidus.The velvety voice of Tasa featuredtogether with the polished production which encompasses some of the best musicians in the country including the Israel Symphony Orchestra. Musical arrangements and production on a tight wonYoeli Dickman, no doubt going to be one of the hottest names Hasidic music industry.